I wanted to dislike this anime, I really did. 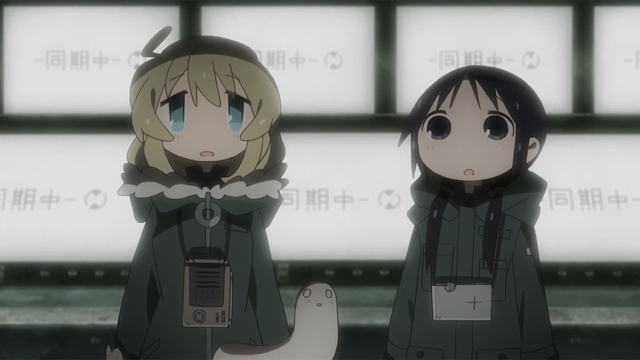 The optics of Shoujo Shuumatsu Ryokou seemed like another "cute girls, doing cute things" type of anime, which it was, and it was not something I thought I would not enjoy because it's really my type of anime, yet somehow I enjoyed the series by the end of it. There's something about the cute girls doing cute things archetype in a post apocalyptic world that made this slice of life enjoyable. Okay so I felt like I got skewered last year for not mentioning Rakugo in my top anime of 2016 post, mainly because I enjoyed other anime that year more than the first season. The second season was much, much, much more better than the first. I love the generational aspect of Rakugo, paired with the dark humour - these aspects were heightened in the second season. I know some of you might think I'm crazy for listing Masamune-kun no Revenge higher than Rakugo, but too bad.. LOL. 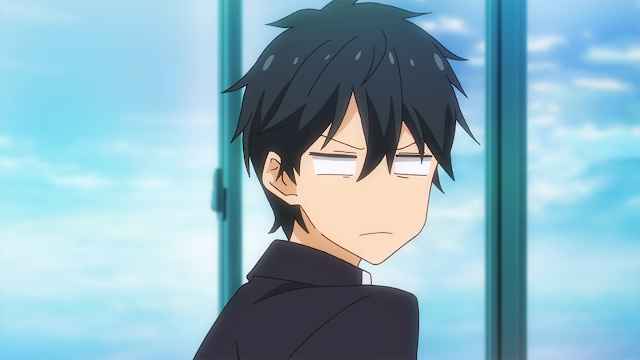 Masamune-kun no Revenge literally had me screaming with laughter a couple of times, it's a good comedy if you're into that playful vituperative banter among people in the vanity section of the social stratification. The title of the anime brands itself as an anime fuelled by revenge, but do not hold your breath for some serious revenge driven storylines. 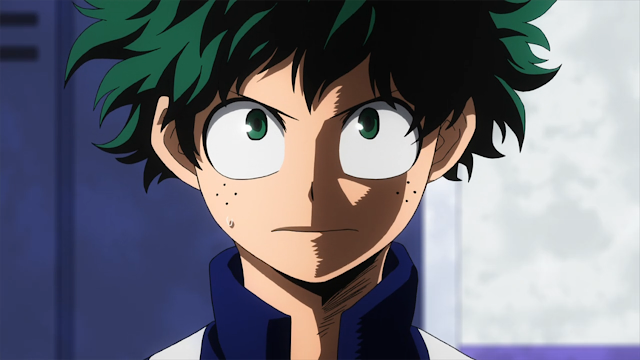 I really like Hero Academia, it is one of those anime where you feel content after watching an episode because Deku has that magnetic personality that pulls everyone in. The source material is great, the aesthetics of the character designs are very unique, and there plenty of action- packed fight scenes in the second season. Though it is kind of hard not to draw parallels between Hero Academia and the ever so popular Naruto since they are both cash cows for Weekly Shonen Jump. For example, the sports festival sort of reminded me of the chunin exams. I just hope Bakugo does not pull a Sasuke, because I'm getting the feeling he might, and I do not want to see another Sasuke- like storyline from Hero Academia. Just keep building on the same momentum Hero Academia! I'm a romance anime fanatic, and Kuzu no Honkai gave me everything I wanted from a romance anime but with plenty of wrenches thrown that pretty much threw a lot of people off from what to expect with the stereotypical romance based stories. Kuzu no Honkai was just a hot mess between lovers, but it was a hot mess that was a bit too juicy for someone like me not to turn my head away from watching all the way until the end. Kuzu no Honkai was able to showcase the dark side of relationships most romance anime don't shed light upon. 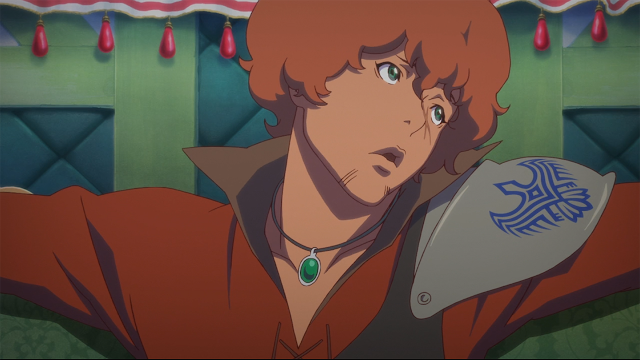 I was a fan of the underrated first season, so when I heard Virgin Soul was going to be a thing I was more than happy to hear that we were getting more Favaro. The resurrection of Bahamut is the underlying story once again in Virgin Soul, but this time we focus more on a girl named Nina with Favaro, Kaiser, and Rita in her orbit. I had my own personal issues with Nina as the main character with her indecisiveness, but overall Virgin Soul was a much needed breath of fresh air, from the pool of anime in 2017. 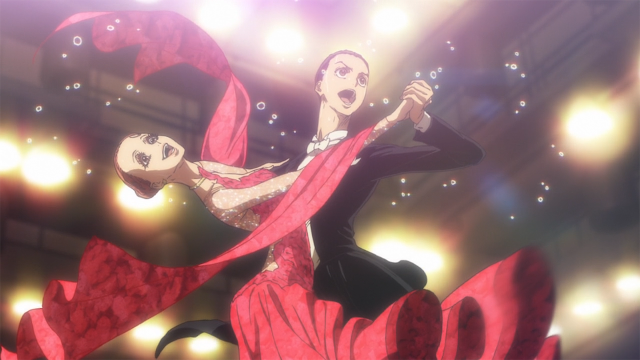 Oh yeah, Ballroom e Youkoso, how could I not mention this anime after spending a few months rambling about it over the past year. I am not too familiar with that many dance anime since I do not believe that there are even that many out there to begin with. So Ballroom e Youkoso sticks out like a sore thumb this year, or sticks out in general from what you're accustomed to watching. Safe to say I loved almost every second of it. Not much ballroom dancing; though the beautiful bonds between the main characters, and the phenomial BGM composed by Yuuki Hayashi, make Ballroom e Youkoso a fantastic watch for the year. Nyanko sensi and Natsume crack into my top three for this year. My love for Natsume is never ending, the sixth season was a treat that no one saw coming after the gap between the fourth and fifth season. 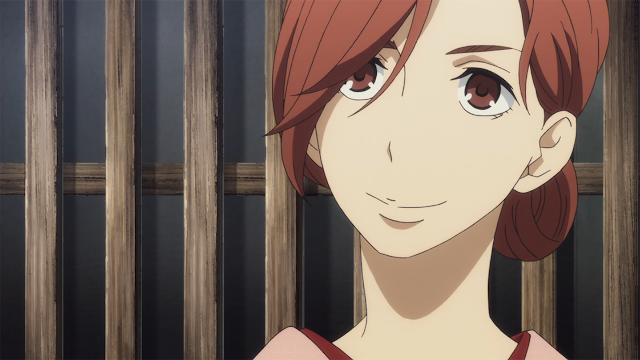 Not many anime get to have six installments, so there is something about Natsume worth noting if you have not dived into the series yet. 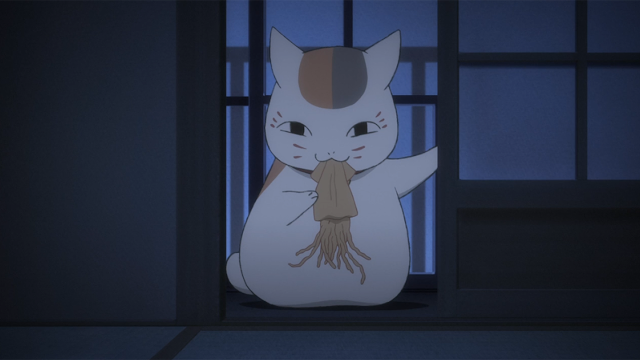 If you loved the first season of Natsume, you will love the sixth. I like how from season to season, there is no attempt to out do the last season, maybe that is the key to Natsume's longevity that other creators should tap into. This one was recommended by a friend, who I wholeheartedly thank because it really is the dark horse of 2017. It's ever so popular in Japan, but not so much with the western audience. 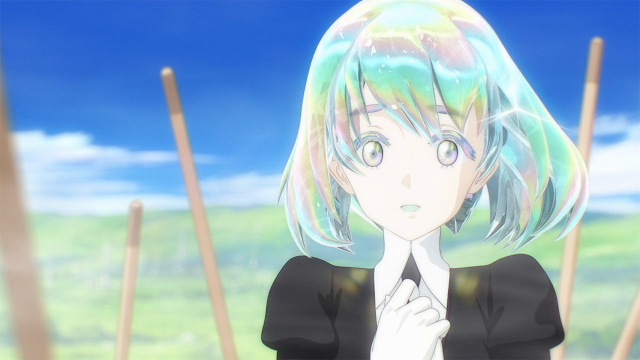 It's hard to describe what Houseki no Kuni is about since the story is nothing like I've ever seen before, I do not want to try to describe it since it's something you would have to experience on your own to understand. The embodiment of each of the characters were figuratively, and physically unique. The wonderful CG, compounded with the multifaceted story, sprinkled with the blissful BGM puts Houseki no Kuni as one of the best anime in 2017. And my favourite anime from the 2017 is of course, Made in Abyss. 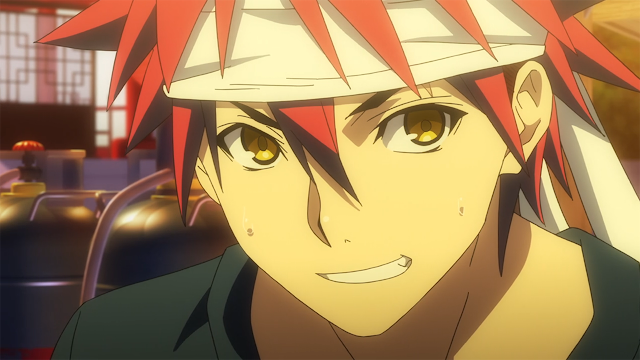 How could anyone dislike this anime series is beyond me. It started off as a dark horse but began to pick up stream with people catching on as to how multidimensional and and well crafted this anime is. 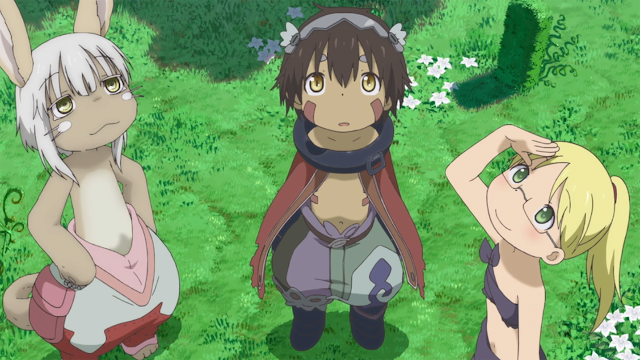 Riko, and Regu brought the audience on an adventure to a fantasy based world, that could only be pulled off in anime, which is why Made in Abyss is my favourite anime of 2017. So that is it for my favourite anime of 2017, here's to more amazing anime in 2018. It was tough putting this list together since there were a lot of anime that I also enjoyed this past year that did not make the cut. Please let me know what your favourites in 2017 were in the comments. Again, I hope everyone has a Happy New Year, and a blissful 2018. See you guys very soon!